Turtle Trot and Scarlet Letter Year. I’ve listed the rules and my 13 projects under its own special page at the top of my blog. 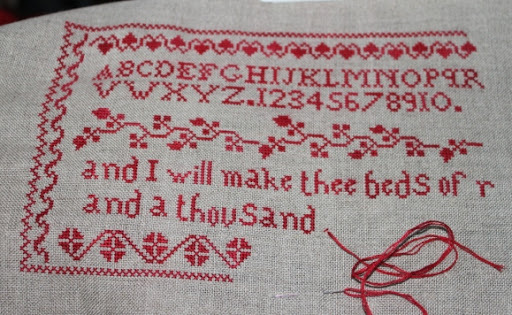 This month I’ve been working on the Beds of Roses Sampler by Terry Loewen. This piece is turning out to be a lovely stitch, its being stitched on 32ct Raw Belfast Linen with Strawberry Shortcake Belle Soie threads. 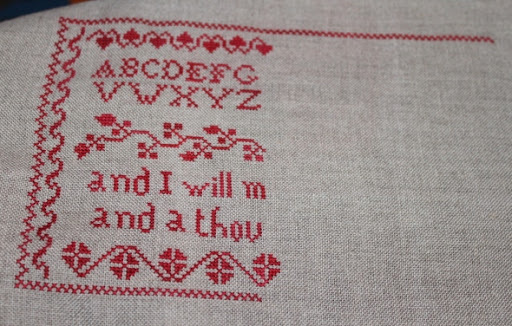 For anyone who is thinking of stitching this the letters J and W were missing from the alphabet, luckily I found out before I had stitched so was saved a visit from the frog ! 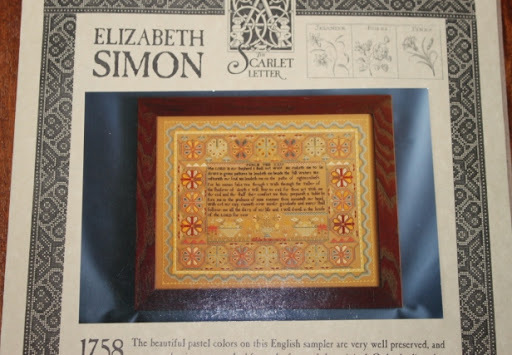 I received my Elizabeth Simon chart that I’m doing as part of Nicolas Scarlet Letter Year, I’m just waiting on my fabric to arrive. I couldn’t decide if the above raw linen or antique white would work so ordered both, I will be using DMC threads on this sampler. I’m looking forward to starting this sampler. 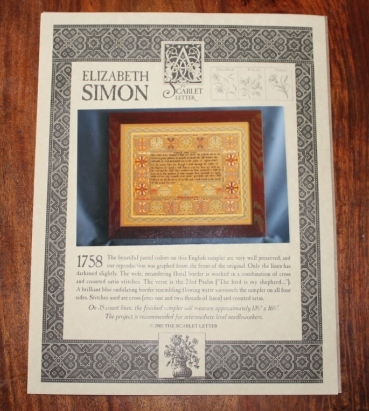 This entry was posted in Uncategorized and tagged Beds of Roses sampler by Terry Loewen., Elizabeth Simon. Bookmark the permalink. 7 Responses to Turtle Trot and Scarlet Letter Year. Great progress and lovely new stash! Sigh, how do you juggle it all Super Ruth?! Every time I see your lovely cross stitching, I itch to do some. Great progress Ruth, I kno I always say this but you are so amazing in what you acheive. Your Bed of Roses sampler is lovely! Did you add the missing letters yourself and adjust the chart? Very clever stitching!